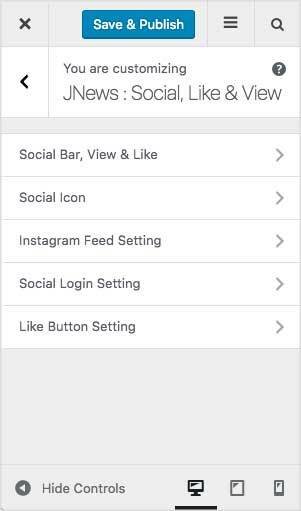 For more detail information about Social Bar, View & Like setting, please visit our documentation about it on this page. This social icon will show on header & footer of your website. Also, will be used if you install JNews – Meta Header & JNews JSON LD plugin. You can check the following images below about how to setup social icon and social icon preview. For more detail information about Instagram Feed setting, please visit our documentation about it on this page. For more detail information about Social Login setting, please visit our documentation about it on this page. For more detail information about Like Button setting, please visit our documentation about it on this page.